Using PowerPoint 2010? Wondering how to best utilize your notes during the presentation? This video explains how! When you are giving a presentation in Microsoft PowerPoint it is imperative that the presentation flow in a precise and seamless manner. 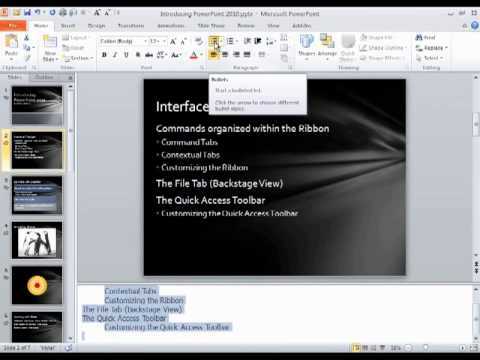 Using speaker notes in Microsoft PowerPoint allows you to keep track of your notes for a particular slide. This excellent video will show you how to do that so you can be better prepared for your next Microsoft PowerPoint presentation. Enjoy.